Are your guests ready to get rowdy in Riverside? Give ‘em what they want when you print Inland Empire Drink Tickets for your next I.E. event. 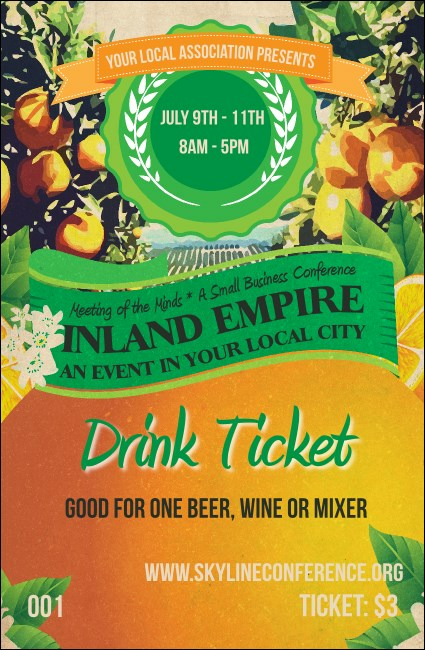 Each sweet orange ticket features a citrus fruit design with bright green accents and ten lines of custom text for all your Southern California event details. Find the right ticket for your Coachella Valley event at TicketPrinting.com.